In this fourth edition of STRATEGIC MANAGEMENT the emphasis continues to be on the process of strategic management. This book is designed to help those new to the field understand the processes and complexities of strategic management in a readable and accessible way. The approach of this book is to show strategic management to be a flexible and ongoing process, responding to the changing needs of organisations in light of new developments, and not a set of rules to be applied in a mechanistic or ad hoc manner. The fourth edition has maintained the style and readability of the previous edition, while incorporating and examining the new developments of the discipline. 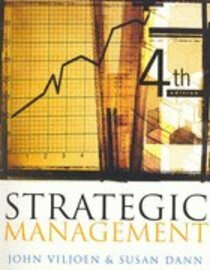 About "Strategic Management (4th Edition)"